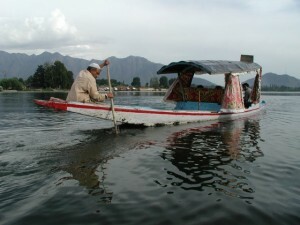 Srinagar Tourism - Complete travel Information about Srinagar! History: The story so far Long before our times, a vast lake filled the land of Kashmir, with a fierce demon living in its waters. The sage Kashyap, acquiring divine powers, drained the lake of its water. Goddess Parvati (consort of Shiva) then crushed theSrinagar demon to death with a huge mountain, which still stands in Srinagar. Thus goes the story of the creation of this city of breathtaking beauty. According to documented history, the great Mauryan king Ashoka (1st century BC) established the old city of Srinagar and named it Puranadhisthan (now Pandrethan). With the extension of Ashoka’s rule, Buddhism spread in the valley. After him, the Kushana Emperor Kanishka reinforced the spread of Buddhism. The modern city of Srinagar was built upon the ruins of the capital cities of several kings, including Pravarasen, Lalitaditya, Jayapida and Avantivarman. Srinagar became the seat of government of the Dogras when Maharaja Gulab Singh became the ruler of Jammu & Kashmir. Over the years, the city saw upheavals and a process of change, from a royal retreat to the hotbed of political activity. In the last decade of the 20th century, Srinagar has been racked by some of the worst incidents of violence and killing that the country has witnessed. Several thousand lives have been lost, the once overflowing hotels and streets lie empty, the magnificent Dal Lake is choked up and the people devastated. This human tragedy wrought by incessant conflict between India and Pakistan, has made hell out of what was once described as paradise on earth. India. Srinagar, being the capital of Kashmir is well connected to other parts of India with a good network of airways, railways and roadways. By Air: There is a domestic airport in Srinagar, which has regular flights to important cities like Delhi, Mumbai, etc. A number of private and public airlines operate out of Srinagar. By Rail: The railway station nearest to Srinagar is that of Jammu. Jammu station is connected to almost all the key cities of India. 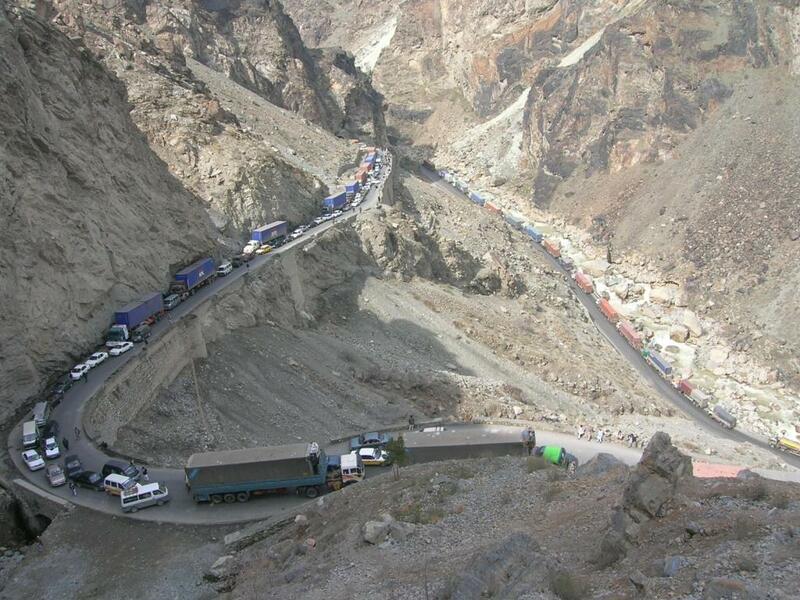 By Road: Srinagar has an extensive and good road network connecting it with the major cities in Jammu and Kashmir and North India. 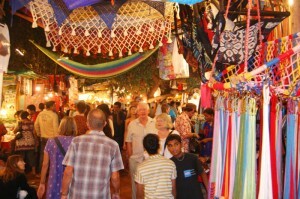 Culture: The original people of Srinagar come from diverse races and tribes. In the present times, though a lot of modernization has taken place still the people of Srinagar have kept up with the old traditions and customs. In the beautiful city of Srinagar all the religions are put into practice without any bigotry. 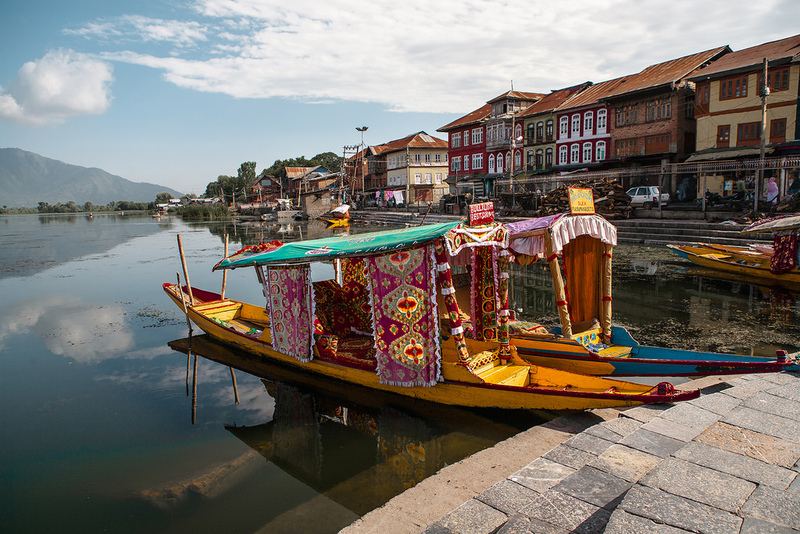 Although there is no official religion, Srinagar is primarily a Hindu town. There are umpteenth Hindu shrines marking the hilltops. Due to its majestic past, however, Srinagar also has a small amount of Christians, and two leading churches where regular services are held. Due to shortage of land available, polyandry was experienced to keep the family small. However this practice is dying out now. Jammu and Kashmir has the distinction of having multifaceted, variegated and unique cultural blend, making it distinct from the rest of the country, not only from the different cultural forms and heritage, but from geographical, demographically, ethical, social entities, forming a distinct spectrum of diversity and diversions into Kashmir, Jammu and Ladakh, all professing diverse religion, language and culture, but continuously intermingling, making it vibrant specimens of Indian Unity amidst diversity. Its different cultural forms like art and architecture, fair and festivals, rites and rituals, seer and sagas, language and mountains, embedded in ageless period of history, speak volumes of unity and diversity with unparalleled cultural cohesion and cultural service. While the Kashmir has been the highest learning centre of Sanskrit and Persian where early Indo-Aryanic civilization has originated and flourshed, it has also been embracing point of advent of Islam bringing its fold finest traditions of Persian civilization, tolerance, brotherhood and sacrifice. Bhand Pather: It is a traditional folk theatre style combination of play and dance in a satirical style where social traditions , evils are depicted and performed in various social and cultural functions. Bhand Jashan is performed by aSrinagar group of 10 to 15 artists in their traditional style accompanied by light music for the entertainment of people. Chakri: It is most popular form of Kashmiri folk music. It has some resemblance with chakra of mountaineous regions of Uttar Pradesh. Normally Garaha, Sarangi, Rabab were the musical instruments used in the past. But now thw harmonium too has made its way in its presentation. form are Santoor, Sitar, Kashmiri Saz, Wasool or Tabala. In Hafiz Nagma a dancer is a female while her accompanists on various instruments are males. Hafiza moves her feet on musical notes. There are only a few families in Kashmir who are practising this musical form in Kashmir. Whereas the tallest ustad Ghulam Mohd. Qaleenbaft is unable to move out because of health problems, Ustad Ghulam Mohd. Saznawaz and Ustad Abdul Ghani Namathali are imparting training to their family members and are the practising artists. Kashmiri Food: Rich and redolent with the flavour of the spices used –cinnamon, cardamom, cloves, saffron, etc. — Kashmiri food can be the simple meal of a family, or a 36-course wedding banquet called Wazawan. The staple diet of every Kashmiri is rice, the most preferred being the dense, slightly sticky grained Kashmir variety, which is prized in the Valley. Mutton, chicken or fish are of prime importance in Kashmiri meal and everyday cooking often combines vegetable and meat in the same dish. Mutton and turnips, chicken and spinach, fish and lotus root are also very popular combinations. Pure vegetarian dishes include dum-aloo – roasted potatoes in curd-based gravy, and chaman- fried paneer (cottage cheese), in a thick sauce. Non-vegetarian dishes are considered in Kashmir to be a sign of lavish hospitality and at a Wazwan or banquet, not more than one or two vegetarian dishes are served. Sweets do not play an important role in Kashmiri cuisine. Instead Kahva or green tea is used to wash down a meal. Wazawan is usually served at weddings and parties. The most commonly served items are rista (meat balls) made of finely pounded mutton and cooked in a gravy; seekh kababs, tabak maz, or flat pieces of meat cut from the ribs and fried till they acquire a crisp crackling texture, roganjosh, which owes its rich red colour to the generous use of Kashmiri chillies. Yakhni, a cream coloured preparation of delicate flavour, is made with curd as a base. Gushtaba, which is the Srinagarlast item to be served in a traditional wazawan, are meatballs moulded from pounded mutton like large-sized Rista but cooked in thick gravy of fresh curd base. Dam-Aaloo and chaman are the commonly served vegetarian dishes – to serve more than this would indicate an unseemly tendency on the part of the host to economize! Several restaurants in Srinagar serve Kashmiri wazawan on their menus. Mughal Durabar, Ahdoos and Grand, on the Residency Road, offer authentic wazawan. Similarly, Broadway Hotel on Maulana Azad Road arranges wazawan prepared by professionals. Restaurants All the better hotels in Srinagar have attached restaurants, generally serving Indian, Continental and Kashmiri cuisine. Other restaurants are mainly located on the Boulevard, Shervani (Residency) Road, Lambert Lane and Lal Chowk. Mughal Durbar and Ahdoos on Shervani Road, Ruby in Lambert Lane and Juniper in Lal Chowk are well known for their Kashmiri cuisine. Solace and Tao Cafe on Shervani Road and Shamyana on the Boulevard are three known garden cafes. There are also several restaurants offering Chinese cuisines such as Nun-Kun Restaurant near Nehru Park, Alka Salka on Shervani Road and Lhasa on the Boulevard. Some restaurants, both attached to hotels and independent, cater to the large number of vegetarians who holiday in Kashmir. These are mainly located in the Dalgate Kohna Khan area and on the Boulevard. Amira Kadal and Dalgate have inexpensive eateries where you can get simple, well cooked meals. There are a number of bakeries at Dalgate and Shervani Road. Some of them, in addition to patties and pastries, serve Kashmiri breads like ‘sheermal’ and ‘baqerkhani’, without which no Kashmiri breakfast is complete. Kashmiris use a variety of breads seldom seen elsewhere. tells is that Pari Mahal in Srinagar which was once the royal observatory is just five minutes drive from Cheshmashahi in Srinagar which is the smallest of all the Mughal Gardens in Srinagar. Pari Mahal in Srinagar was at a time a Buddhist monastery with a beautifully laid out garden which was later converted to a school of astrology. It was founded by Dara Shiko the eldest son of Mughal Emperor Shah Jehan’s for his Sufi teacher, Mulla Shah. The beauty of Pari Mahal in Srinagar used to be at one time enhanced by the numerous springs which have dried up now. The beautiful Pari Mahal gardens are now under the possession of the state government and this heritage monument is fully maintained by them. At night the beauty of the Pari Mahal in Srinagar is enhanced by the illuminating lights which bring out the beauty of this place. This beautiful monument is of great historical importance. Though it is now in ruins it speaks volumes of the magnanimous nature and taste of the Mughal princes. The rich history and culture of those times come alive whenSrinagar one sees through the ruins of the building. This is one of the most important places to see in Srinagar. The people who made these monuments are no more nor are they for whom they were built…..but still today these beautiful monuments stand tall telling the new generation about their tastes, likes and culture. They have become a pathway by which the new generation connects with the ancient times. 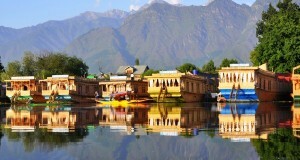 Srinagar is sure to make you feel enthralled and awe struck by its beauty that will for long linger in your mind. So, come soon and savor the rich experience.